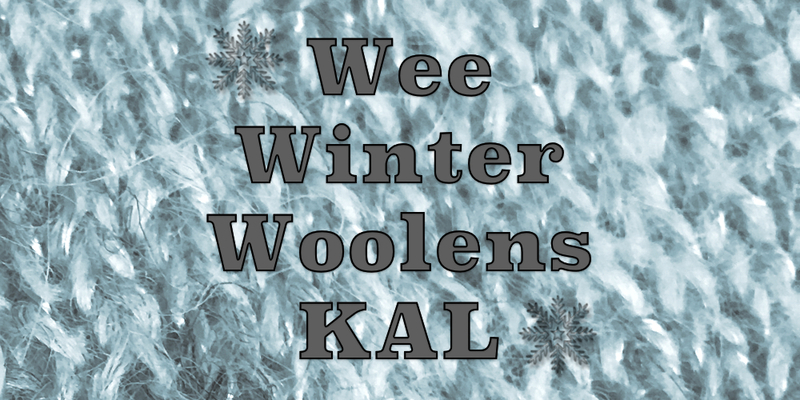 We are just over a month out from starting the Wee Winter Woolens KAL! Today, I want to talk a little bit about choosing your colors. Really the sky’s the limit with this project. You can stick to one set color palette like I am with my blues and grays. You can do each item with different colors which is a great way to go if you want to use up lots of scraps. Or you could create three different palettes and work one of each of the items in each of the patterns creating three sets. No choice is wrong. 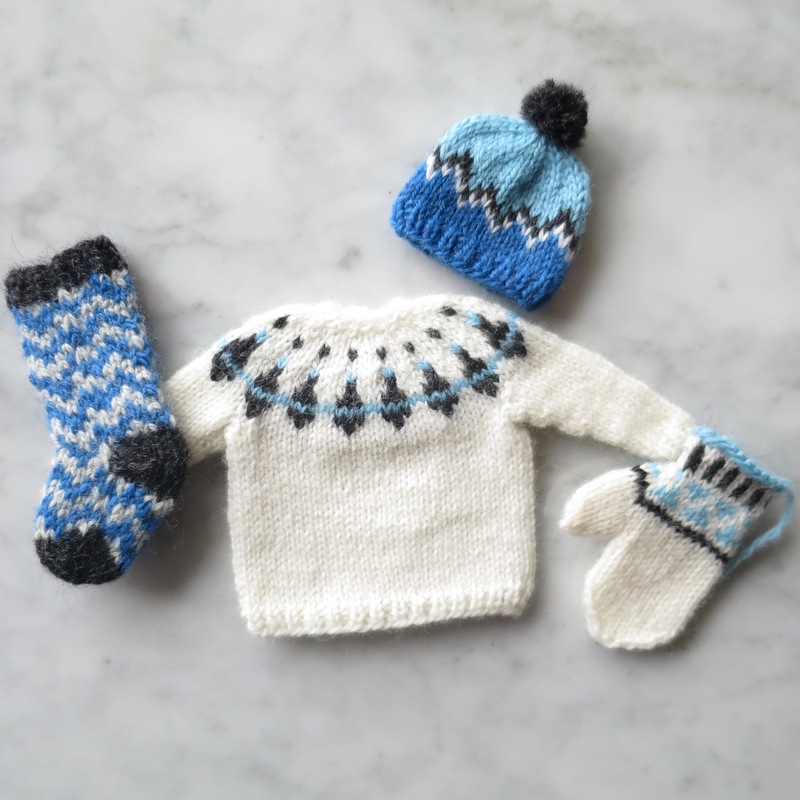 When it comes to knitting each piece, it is worth thinking about the value of the colors to make sure the color work pops the way you want it to. What do I mean by value? What I mean is the relative darkness and lightness. Let’s look at my colors. It looks like I could use any of them together and have enough contrast to make the color work stand out. Now let’s look at them in black and white. Look at the bottom two corners, the blue and the marble heather (med. gray). They have almost the exact same value when seen in black and white. If I knit something with those two colors together the color work probably isn’t going to stand out how I’d like. I also need to be careful using the sky blue and the finnley heather (lt. gray) as they are pretty close in value too. 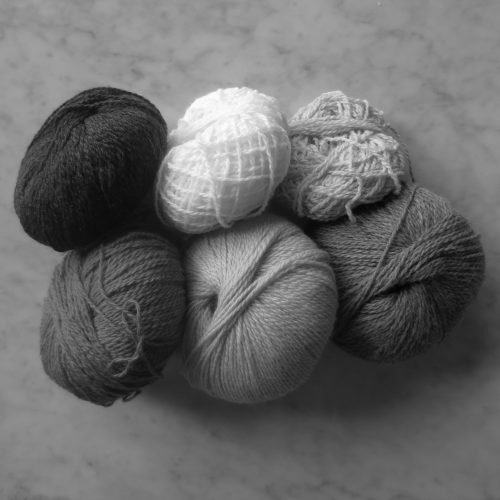 Looking at your colors in black and white is such a simple little trick, you can do it easily on most camera phones or cameras. I really has shown me why some of my color work has looked muddy even though I thought the colors had plenty of contrast. If you are not reading this post in a feed reader or at http://justcraftyenough.com then the site you are reading is illegally publishing copyrighted material. Contact us at jcraftyenough AT gmail DOT COM. All patterns, text, and photographs in this post are the original creations and property of the author unless otherwise noted. 2 years ago by Kat in Christmas , Knitting , Needlecraft , Wee Winter Woolens KAL | You can follow any responses to this entry through the RSS feed. You can leave a response, or trackback from your own site. I want to get this collection as you release the patterns. Is there a one time fee or will you collect each time. You have two choices, you can get each pattern free every other Monday starting June 19th here on the site. Each one will be released as a separate pdf. How will we know when you have posted a new PDF? I’m not the best at remembering when things update but this sounds like something that I would enjoy knitting. If you go the free route and just get the patterns from my site, you can subscribe and you will get an email whenever there is a new post. Or you can join the Just Crafty Enough group on Ravelry and I will post in the forum as each pattern is released. If you decided to buy the pattern from Ravelry, you’ll get a message on Ravelry telling you the pattern has been updated each time I add a new pattern to it.